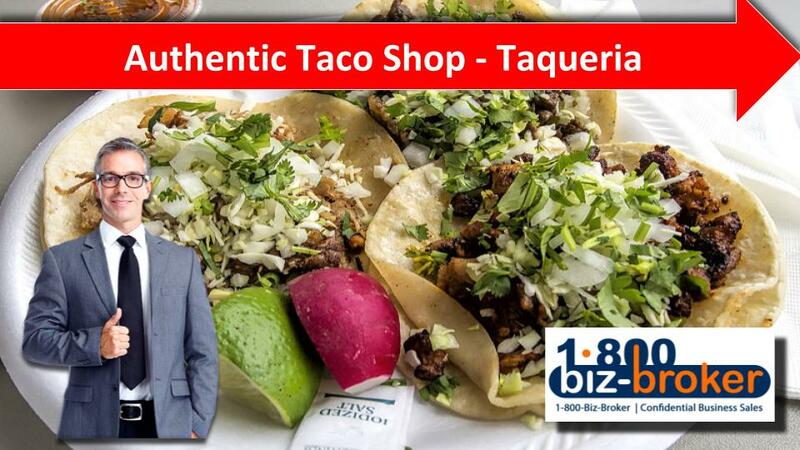 Local Taqueria, Taco Shop, with authentic street tacos and Mexican Menu. All staff run. ABSENTEE OWNER. Great opportunity for a family/owner operator… Cash flow reflects replacing the manager ($30K add-back). Add BEER and WINE for more PROFITS! Located in a high traffic shopping center. All qualified buyers are welcomed to complete a standard non-disclosure agreement for more information. Are you thinking about buying or selling a Business? Please contact us, we can help. Call 1-800-Biz-Broker today. We are Business Brokers serving the Inland Empire. Rent:$3,900 /Month 9% of sales! Want a confidential meeting with a Business Broker? Maybe you would like an opinion of value or business valuation. We can help. Contact us today.